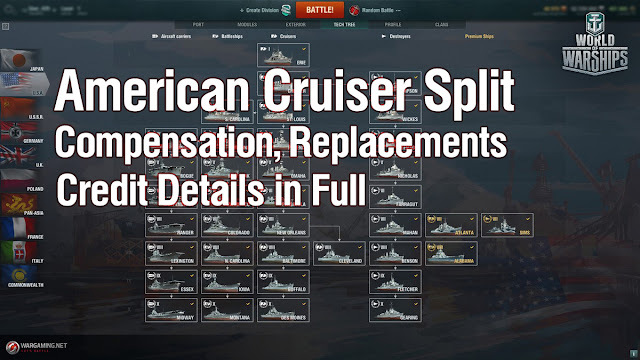 If you researched the Tier VI cruiser Cleveland, you will get a researched Tier VI cruiser Pensacola and Tier VIII cruiser Cleveland. Tier VI cruiser Pensacola will come with the same researched modules as the ones researched on Cleveland. On the Tier VIII cruiser Cleveland, only stock modules will be researched. If you have the New Year permanent camouflage for Cleveland, you get the New Year permanent camouflage for the Tier VIII cruiser Cleveland only. If you researched the Tier VII cruiser Pensacola, then the Tier VII cruiser New Orleans will become researched post-update. The Tier VII cruiser New Orleans will come with the same researched modules as the ones researched on Pensacola. If you researched the Tier VIII cruiser New Orleans, you will get the researched Tier VIII cruiser Baltimore. The Tier VIII cruiser Baltimore will come with the same researched modules as the ones researched on New Orleans. The Tier VIII cruiser Baltimore (in the same configuration as New Orleans). All commanders and XP earned with cruiser New Orleans will be transferred to the Tier VIII cruiser Baltimore. If you researched the Tier IX cruiser Baltimore, you get the researched Tier IX cruiser Buffalo post-update. Tier IX cruiser Buffalo will come with the same researched modules as the ones researched on Baltimore. Also, players get the Tier VIII cruiser Baltimore in her stock configuration and a Commander with 8 skill points to helm the ship. If any of the ships is to be issued several times (e.g. 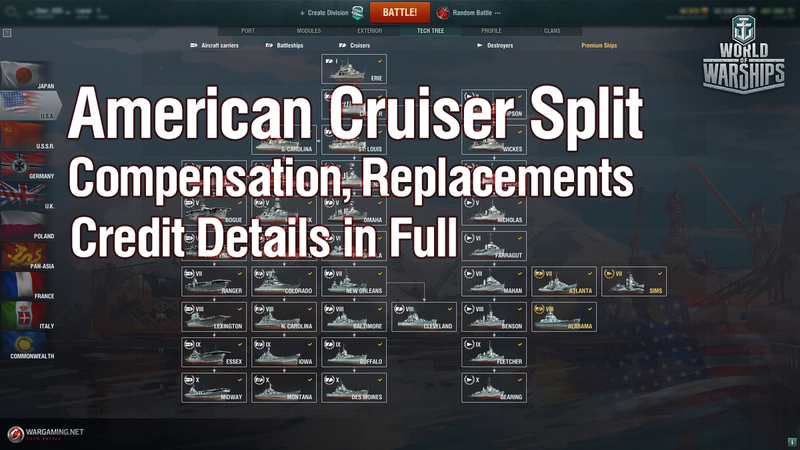 when a player has both Cleveland and Pensacola, he gets Pensacola added to his account twice: Pensacola + Cleveland и New Orleans + Pensacola), the player will get the ship in a configuration set in the replacement rules, a Commander, a slot and a compensation in credits in the amount equal to the purchase price of the ship in stock configuration regardless of all available discounts. Source: Gneisenau013 (Administrator) WOWS Forum NA.